Dental care is important for your entire family, especially your children. Children’s teeth are a little different than adults. They are still developing and may be making room for adult teeth. Because of this, they require special attention and care. At our San Jose dental practice, we can assist you in maintaining good oral health for your child. 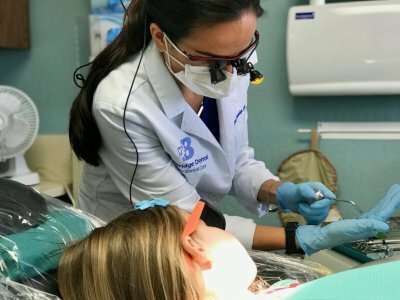 Dr. Stephen Beveridge and Dr. Erin Beveridge Cabuling and their friendly staff will strive to make your child’s dental appointment a fun and positive experience. We see patients as young as 2-3 years old. Childhood is typically the best time to establish lifetime habits. That’s why it’s vital to teach your child good dental hygiene habits early on. This can ensure that your child will have healthy teeth through adulthood. Oral Hygiene Education | One of the most effective ways to prevent poor oral hygiene is through proper education of brushing and flossing techniques. When your child knows how to correctly clean their teeth, it can reduce the buildup of harmful bacteria and plaque. We can teach them how to properly brush and floss their teeth, as well as give advice on good eating habits that can curtail the need for extensive dental care in the future. We provide oral hygiene education using child-friendly terms, so your child fully understands how to take care of their teeth. By educating your child in proper dental care, we can help lay the foundation for great dental health throughout his or her entire life. Growth Monitoring | By tracking the growth and development of your child’s teeth, we can anticipate potential dental issues and work to treat them before they worsen. Comfort Dentistry | We want your child to be as comfortable as possible at our San Jose dental practice. Our compassionate staff will do their best to help your child feel relaxed and safe. In most dental procedures, we can provide laughing gas as a way to help calm your child down. Laughing gas can soothe your child’s dental anxiety and put them at ease, so we can give them the care they need. Early Dental Care | Starting your child on a path of superb oral health can begin as early as a year old. It can also be a useful instrument in preventing potential tooth issues. We work hard to not only give your child excellent dental care, but to also help your child feel relaxed and secure during his or her visit. With Dr. Beveridge as your child’s dentist, your child can learn that going to the dentist isn’t scary or frightening at all! It can truly be a fun and enjoyable experience. 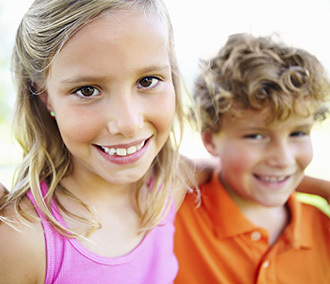 If you have any questions about our pediatric dental services, please give us a call today!